Nothing beats eating a meal while gazing out to sea and Byron Beach Cafe is perfectly located for doing just that. Walk south along Main Beach from Byron Bay township and it's the little place snuggled into the sand dunes, behind the Pandanus Palms. It is not difficult to spend an entire morning sitting and watching the waves roll in and the seagulls fly along the Pacific coastline. With Clarke's Beach out one side and a small children's playground with picnic tables (for eating take aways) out the other, Byron Beach Cafe easily blends into the local environment. The location is unbeatable, and I reckon the food is as good as the view. 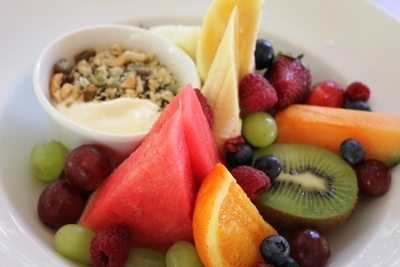 From coffee to oysters, all their produce is sourced locally, with a focus on fresh seafood. The family run business has won many awards and it's not hard to see why. We had a fantastic breakfast - fresh juices, seasonal fruit salad, Eggs Benedict, and sour dough toast with home made jam - followed by a morning of lazing on the beach, building sand castles and dolphin and whale spotting. 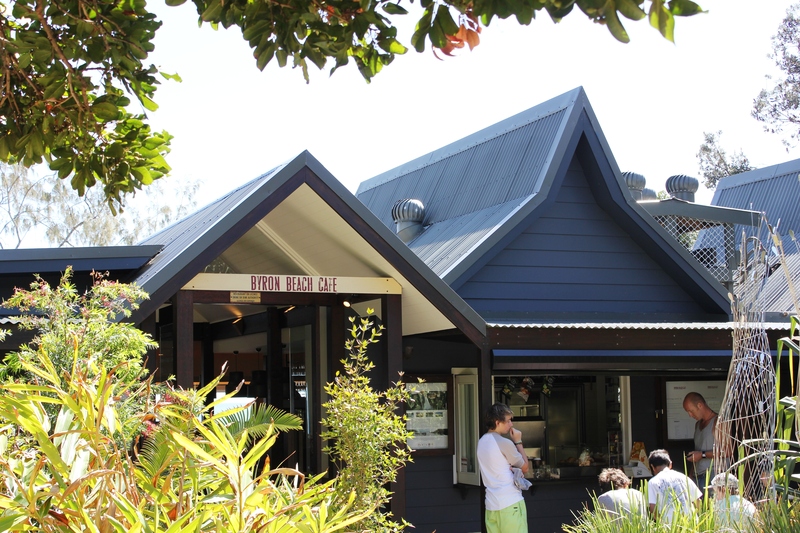 Whether you're a hungry surfer, a gourmet foodie or a family needing ice creams, Byron Beach Cafe is the place to go for open air summery dining and a must visit for anyone heading to Byron Bay. 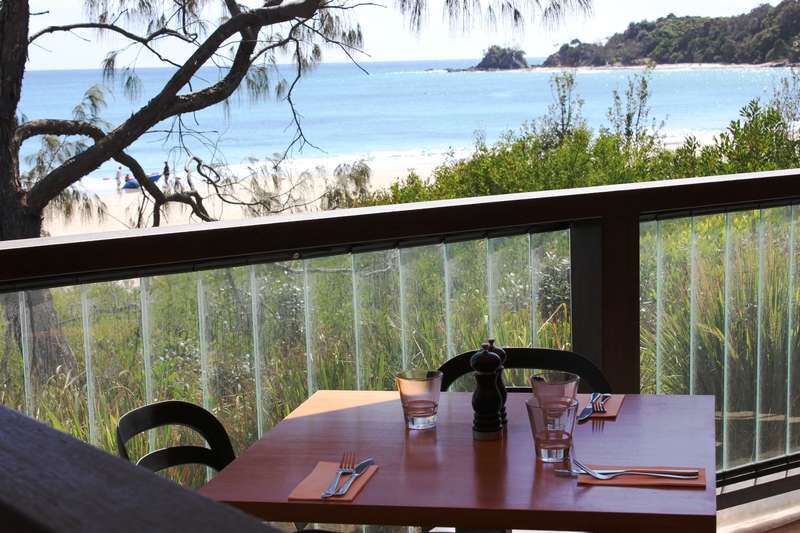 Be sure to book in advance for large groups or to ensure a beach front table - especially on weekends when it gets pretty busy. this looks absolutely divine - I will be going there ! !